Are you expecting your first little bundle of joy? Maybe even two? If you are like most nervous new parents, you probably are wondering about the best products for your baby, including the best crib mattress. If this sounds like you, don't worry. We have identified ten of the best mattresses you can buy and we are giving you all that you need to choose your favorite. Read on and discover for yourself. Don't be surprised if you find the perfect mattress to last between now and when you buy your first set of bunk beds for your little treasure's room. 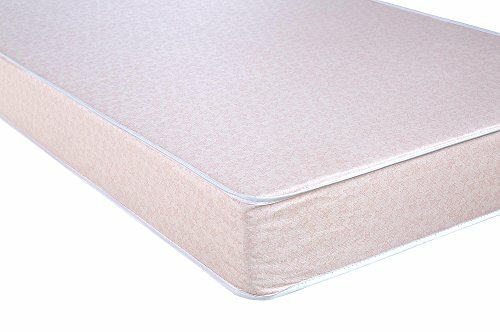 Is the Crib Mattress Hypoallergenic? Safety 1st is a company that has made it a mission to provide safe baby products. The Heavenly Dreams crib and toddler bed mattress is no exception. 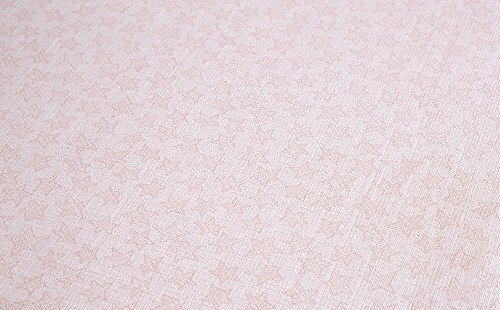 The mattress comes in many different themed covers like "Stars a Plenty," which is covered in an intricate star pattern. The thermo-bonded fiber core offers strong yet supple support for preemies through preschoolers. It is also durable and lightweight. 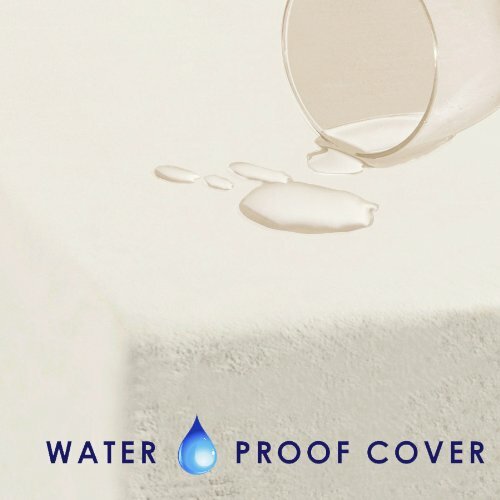 The durable, waterproof cover is easy to clean after an accident and is durable enough to resist a curious toddler or withstand a vigorous scrub. 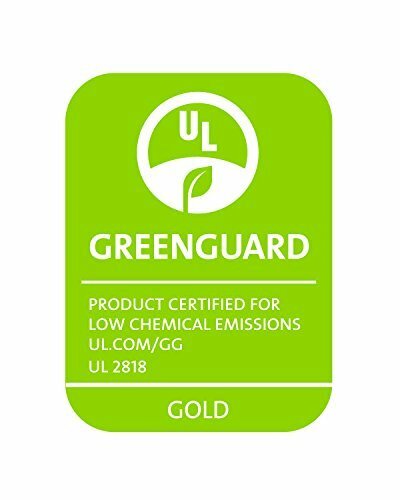 The mattress has earned a GREENGUARD GOLD certification, which meant that it meets the certified standards for low chemical emissions. The mattress also meets federal flammability standard 16 CFR 1633. This means it can protect your baby without the use of potentially harmful fire retardant chemicals. Safe? Check. Cute? Check. Easy to Clean? Double check. This mattress is a winner in just about every way. 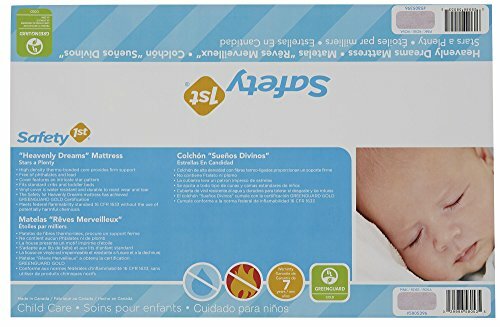 Heavenly Dreams crib and toddler bed mattress covers all of the basics. It works well, lasts a long time, is environmentally, and is reasonably priced. It is also easy to find. You can find this and other Safety 1st products at most major retailers as well as online. Great. But just wait, we have nine other mattresses that may be just as perfect for your little bundle. High-density foam doesn't flatten over time and use, which makes it long-lasting. Forget plastic! If you really want to go green, then this Sealy Soybean Foam Core Mattress might be just the mattress for you. The foam core of this mattress is made not from fossil fuels but good old-fashioned soybeans. This means that after its long, durable life, it is biodegradable in a landfill. Its lightweight, pearl-embossed waterproof cover is easy to clean. Square corners mean no digging under the mattress for a stray pacifier. Lock-stitching on the edges helps the durability of this mattress. It measures 52 by 58 by 5 inches and fits newborns to 60 lbs. This award-winner has multiple accolades as most recommended by baby through the Women's Choice Awards. How about that! 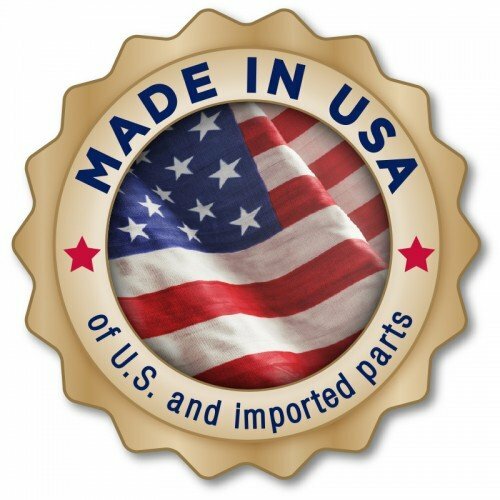 G Like all Sealy products, this mattress is manufactured in the USA. 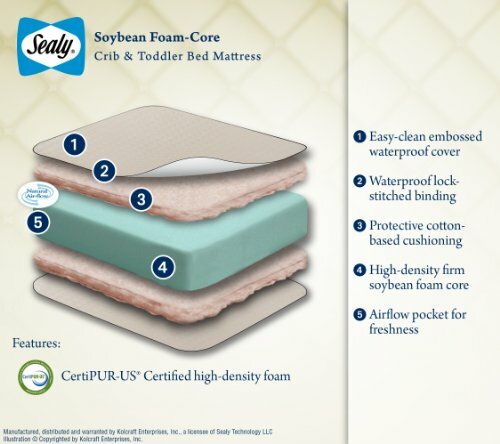 If you're interested in renewable resources and highly-acclaimed brands from groups like the Women's Choice Awards, then Sealy Soybean Foam Core Mattress is definitely the mattress for you and your little one. As far as giving you what most parents want, it covers almost all of the bases. The company offers great return policies if you don't like it, too. Sealy is known to work with you, no questions asked, to try and ensure that you are satisfied enough to return to them when it is time for bunk beds or even a new mattress for mom and dad. Ask your local mattress store and they can give you lots of stories about how easy it can be to get a return. If the jury's still out, don't worry, we have eight more fabulous selections to consider. 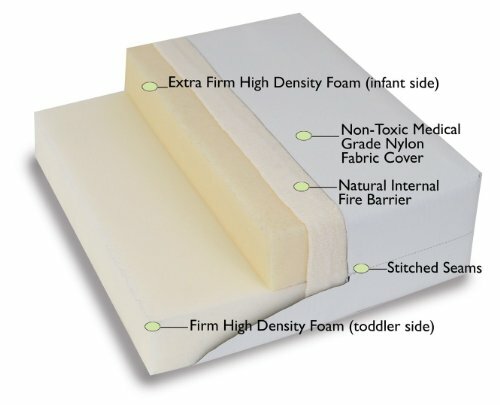 Soy-based foam in the mattress core is more durable than other forms of foam. It also is made from renewable resources and uses less crude oil in manufacture. The light weight of this mattress makes it a snap to change bedding. 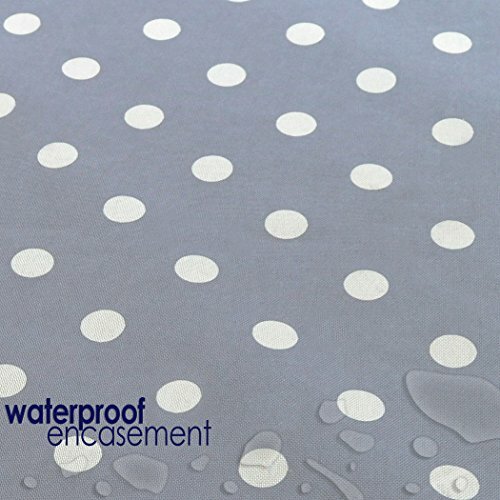 The waterproof, reinforced cover is pearl-embossed and very easy to wipe clean. 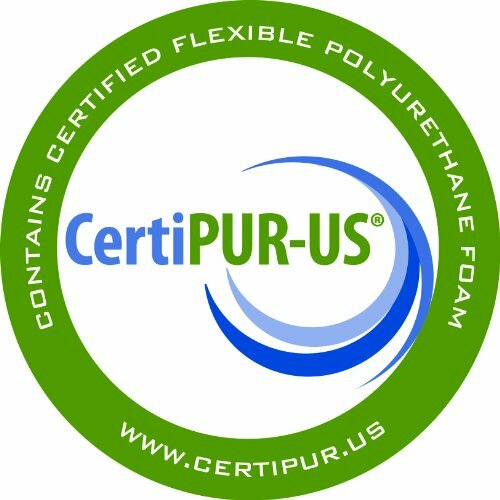 The foam is approved by CertiPUR-US due to its durability and reduced off-gassing emissions. It is backed with a lifetime warranty on all workmanship and materials. A little more expensive than some other brands. This mattress is most likely found in higher-end bedding stores and may be difficult to find in some discount retailers. Do you love memory foam? We do too! And we love this memory foam mattress as well. 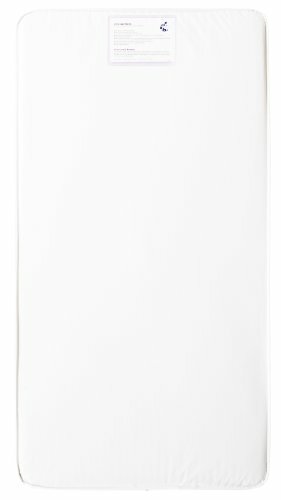 The My First company designed the Memory Foam Crib Mattress with your baby in mind. 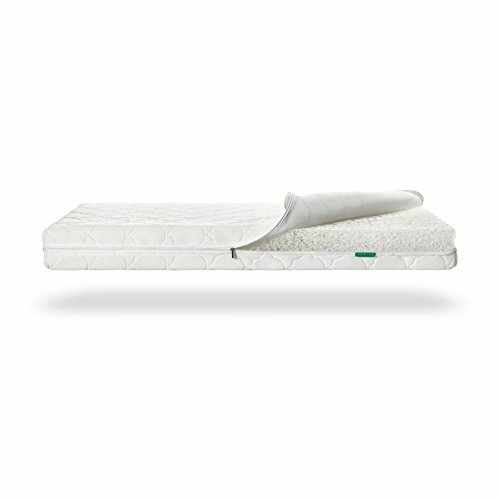 It offers high-density foam that is extra firm in order to help promote a safe and restful night's sleep. The supportive, yet comfortable mattress helps to cushion growing bones and is firm enough to keep your baby breathing safely in any position. 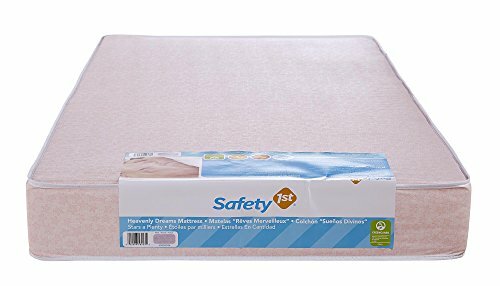 This company is all about safety, and if you want a mattress from a manufacturer that puts this at the forefront of every design decision, this is absolutely the company to go with. 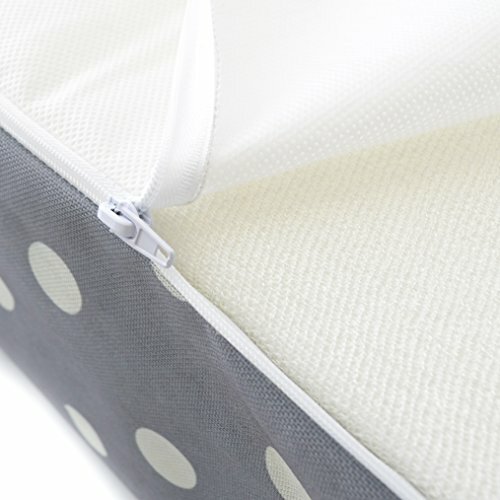 The mattress measures 51-5/8" x 27-1/4" x 5" and fits all standard cribs. 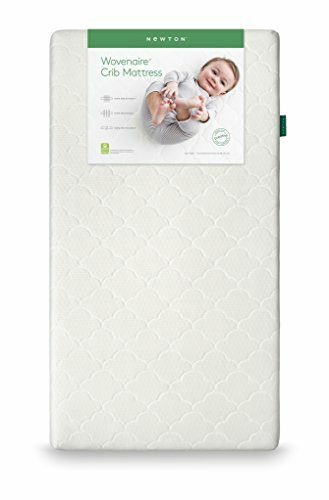 Memory Foam Crib Mattress is a good fit if you like memory foam mattresses and want to extend the same to your baby. You get the bonus of knowing what's inside your mattress (and not worrying about mold) because of the zip-off cover. 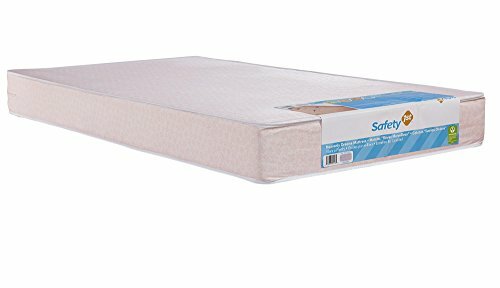 The price is mid-range and the mattress gets great reviews for safety and ease of use. 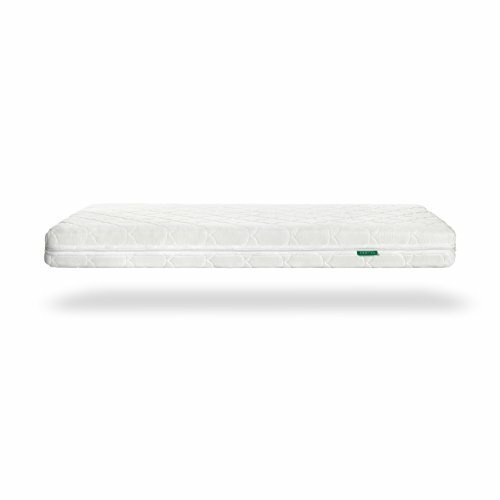 The perfect choice for memory foam lovers. Who could ask for more? The waterproof cover is removable if you need to take a fire hose to it after a blowout or a flu epidemic. You can also throw it in the washer. Removable covers make it easy to check for mold in the mattress foam beneath. The mattress is hypoallergenic, so dust mites and off-gassing is not an issue. Runny noses are put on notice. There is a 10-year warranty. The details can be easily found on My First's website if you're a lawyer or you need something to put you to sleep after a 3 AM feeding. The mattress must expand when it first comes. You can't use it immediately. It only takes about 20 minutes to an hour, but you do have to wait. If you love memory foam but want options, keep reading! Here's a second choice for you to consider. 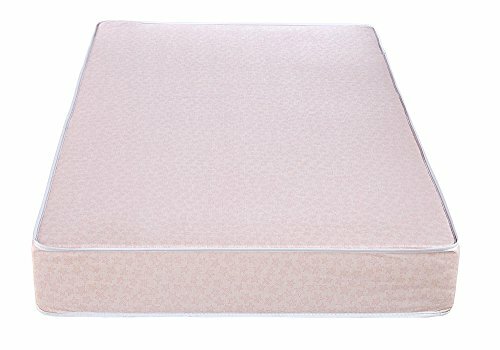 They tout their Milliard Hypoallergenic Matress unique, quality foam blend as being free of synthetics, durable, and comfortable. Memory foam is known to be comfortable on a baby's growing body and free from uncomfortable springs. 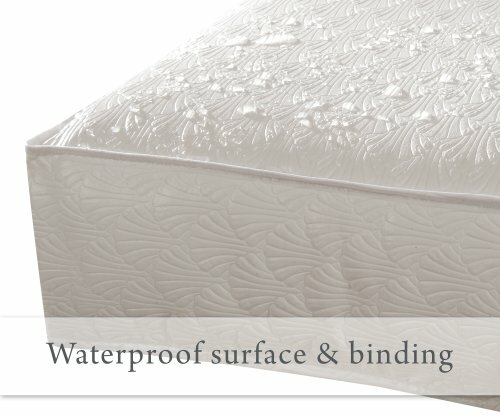 One thing that is a little different about the waterproof cover on this mattress is that it covers the top and sides, but not the bottom. This has both pros and cons, as it allows the mattress to breathe and the air can help to prevent mold growth. However, if you have ever had a major accident, liquids dripping down the side can be soaked up by the bottom. 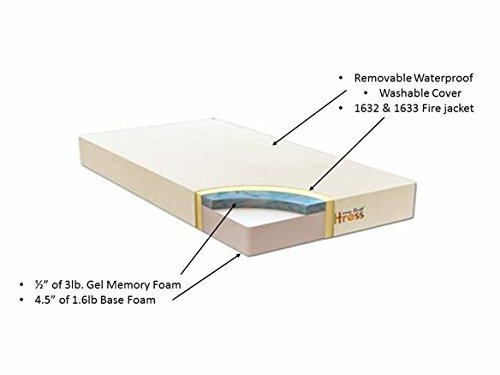 Love memory foam? Want to be able to allow your foam to breathe? Want a mattress that has been proven to give many kids a good night's sleep? Check, check, and check. Milliard Hypoallergenic is a great mattress that offers a wide variety of benefits. Over 95% of reviews are positive. See for yourself if it's for you. The Verdict: Quality, Comfort, and ease of cleaning. Don't you love it? Inner fiberglass lining is fire retardant without the use of chemicals. Open bottom part of cover can get wet if there are large wet spots. The zipper is very delicate and must be handled carefully. The mattress cover may discolor due to some kinds of spills. There is some off gassing smell for the first days to weeks upon receiving and expanding the mattress. Want to know the most original idea for firmness in the mattress lineup? Try a double-sided Moonlight Slumber mattress with two firmness choices on either side. This allows you to use the extra-firm side that is recommended for infant safety and to then switch to the plusher side once your baby has become a toddler. As a bonus, this company was founded specifically to try to make the best mattress possible. As a mission statement, there's a pretty powerful endorsement for this mattress. It also has an antimicrobial treatment to keep your baby extra healthy. If you like to support small companies whose goal is to create the best product and who stand by their pieces, Moonlight Slumber mattress is a great choice. They offer a mattress that is pretty much universally considered high-quality, yet their establishment is small enough that you can talk to people easily and they will do right by you if you have problems. Sounds pretty great, doesn't it? Certi-PUR certified foam won't cause breathing problems for your little one due to off-gassing. 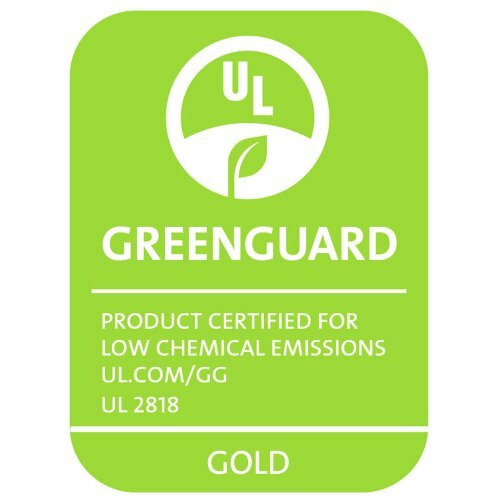 It is also GREENGUARD gold certified. It hinders bacteria and mold growth and doesn't let viruses get a foothold. Waterproof, permanent cover with side-stitching that can be easily wiped down with a sponge for quick cleaning. Super helpful customer service staff made up of actual people who answer the phone. One person said that the mattress made a depression in the first year. However, customer service replaced the mattress at no charge after the warranty expired. Like the Moonlight, this Simmons Kids Beautyrest is double-sided to allow for both toddler and infant sleep surfaces. It is a coil spring mattress, so it is a bit more bouncy than the memory foam options and a little heavier as well. The construction consists of 231 pocket coil springs to provide consistent support whether your child sleeps in the middle or ranges all over the bed while asleep. The mattress is one of the heavier choices on the list at 26 lbs. Is Memory Foam not for you? This is a great alternative! Simmons Kids Beautyrest is an excellent choice if you want a mattress that will grow with your child and you're not a fan of memory foam. 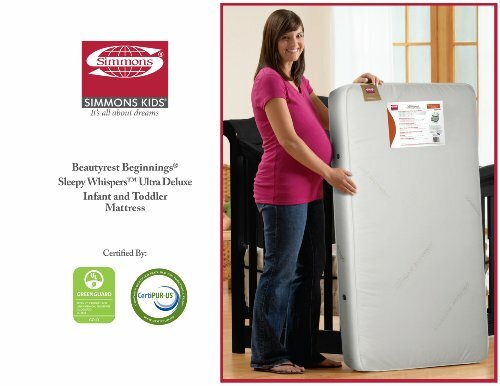 Simmons is an excellent brand and their quality shows in this innovative crib mattress. If you like traditional spring-based mattresses, you're gonna love this! Let's be clear-- though the name is the same as a famous toothpaste brand, this Colgate company is a third-generation establishment that has been making mattresses since the 1950s. 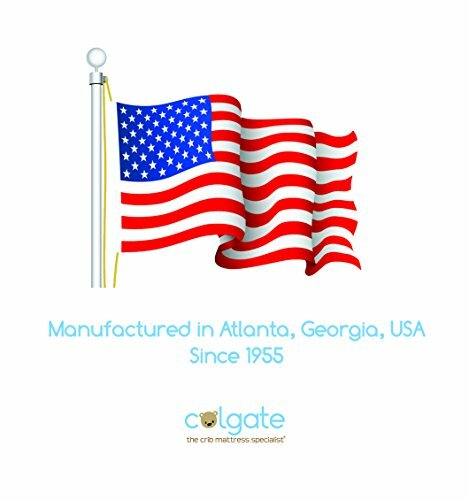 The Colgate Classica represents their best-selling model with a similar, 2-sided, dual firmness design as the previous two models. 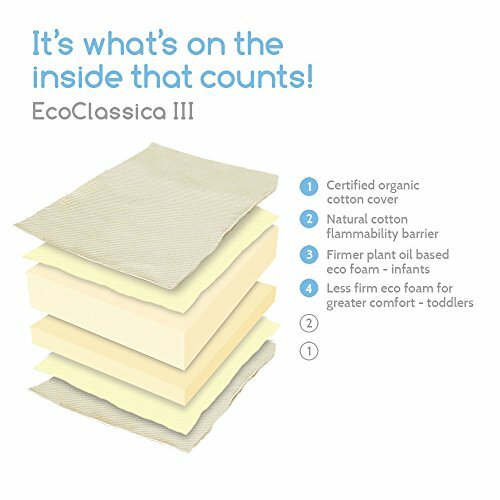 It meets both Greenguard and CertiPUR standards and is encased in an Organic Cotton cover. The price on this mattress makes it on the higher middle end of the range. 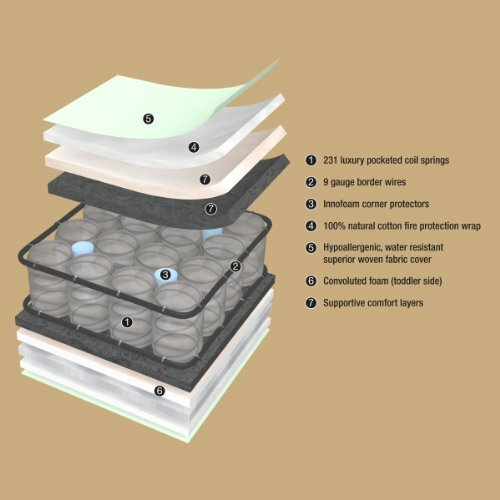 This 6-inch thick mattress is made of multiple layers of a product that they call eco-foam. 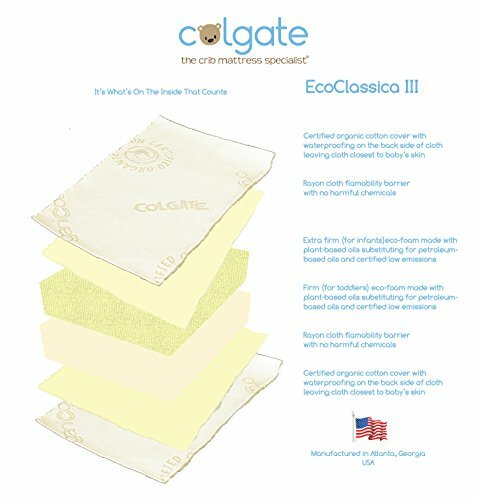 If you want a green, organic mattress that works well, lasts throughout the toddler years, and doesn't cost as much as a crib, then Colgate Classica is a great choice for you. Many of the reviewers of this piece chose it because they felt they were choosing the best mattress available. Check for yourself and see if you agree. A solid, organic choice from a company devoted to green design and manufacture. Soy-based urethane foam for an organic product. Greenguard and CertiPUR certifications that show that it is free of over 10,000 volatile organic compounds. No smell when the mattress first arrives-- a rare thing for memory or closed-cell foam mattresses but a biggie for anyone sensitive to scent. Super lightweight- can be lifted with one hand to change sheets, even if you are on post C-section weight restrictions. The mattress can be found at major retailers like Target and Babies R Us. The mattress is organic, but the labeling is confusing as it talks about being made up of rayon and urethane (both of which can be made from plant-based materials). They need to be clearer about the organic state of their pieces. 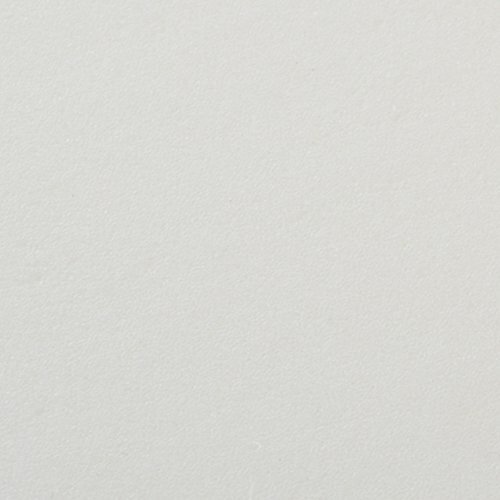 The cotton cover has a waterproof liner, but it is not immune to stains. You need an extra mattress pad cover. We have a question for you: what's the single biggest fear for parents when it comes to a baby going to sleep? You guessed it. Breathing issues. Pediatricians go back and forth about the best recommendations to try to prevent breathing issues. While soft bedding is definitely one of the issues, Newton has identified another issue that we take for granted. Take a look at the Newton Crib Mattress. The waterproof lining on most mattresses makes it so that a baby can't breathe with their face pressed against it. So Newton has made a mattress and a cover that you can actually breathe through! The mattress is breathable, recycled material that is not foam, but a patented material called Wovenaire that is supposed to be 90 percent air. Famous pediatricians like Dr. Sears stand behind this as a great choice-- if you have the money for it. This is definitely the priciest choice on the list so far. For those of you wondering, it's not waterproof at all. If you want the breathability factor, you're going to need to avoid putting a mattress pad on the mattress. A major accident means you zip the cover off the core and throw it in the washer-- the rest of the mattress can be washed in the shower or bathtub and stood vertically to dry. In a warm, dry room with air circulation, it should take less than an hour to dry. Are you all about green? Are you all about quality? Then look no further. If mattresses were cars, Newton Crib Mattress would be the Tesla. Beautiful, sleek, high performance and innovative. Yet the greenest choice on the market at the same time. And the most expensive. If you're looking for a place to invest some real money on your baby, why not choose the surface where they will be spending 70 percent of their first year? Recommended by majorly famous pediatricians like Dr. Sears for ultimate health and safety for your little turnip. A baby can get air even if their little face is squashed into the mattress surface. Completely washable- extra covers can be bought and swapped out if you have a multi-mess night. 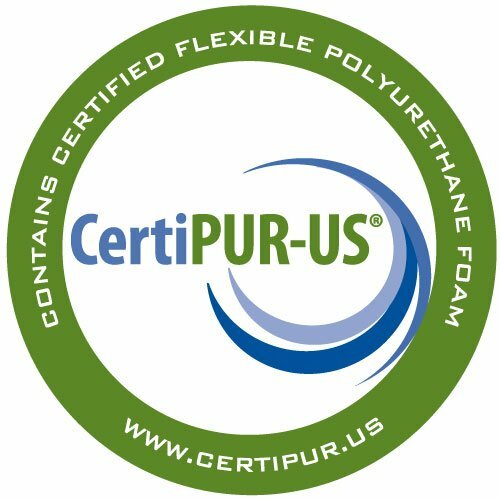 Made in the USA-- certified Greenguard and CertiPUR, and the winner of design awards like the 2015 JPMA Innovation Award; featured as a product to watch by over a dozen major media sources including newspapers, magazines, and TV. Can be used from preemie to young child, without the need to flip to the softer side. Not waterproof and waterproof covers are discouraged. Buying this mattress means committing a lot of time to cleaning your mattress and washing covers thoroughly. On the other end of the purchase spectrum is this Kolcraft Cozy Soft Portable Mattress. It is half the thickness as other mattresses at 2.5 inches deep, and a great choice for co-sleeper bed attachments. It is also, by far, the most affordable mattress on the list. At 38 by 24 inches, this is too small for a normal crib. It fits mini-cribs, some hard-sided pack and plays (though it states clearly that it is not for use with soft-sided play yards), and co-sleepers very well, however. If you're not sure if the mattress will work in your bed, take a measurement and keep in mind that for safety, there should be less than a 2-inch gap between the mattress and the side of your sleep furniture. This hypoallergenic mattress has a durable, waterproof, wipe-down cover that is permanently stitched on. It is made in the USA, is free of toxic chemicals according to certifications, and is non-flammable without the use of chemicals. 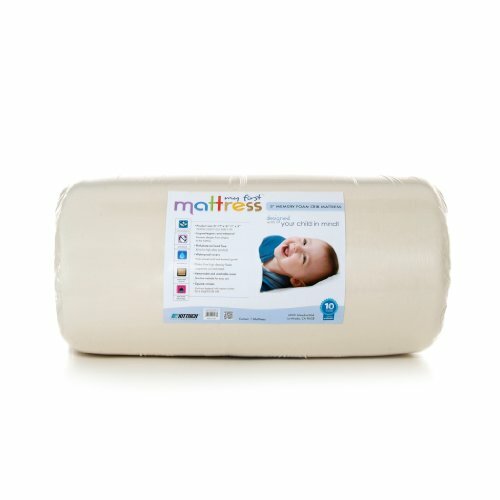 Need a portable mattress for the portable crib that you bring to the grandparents? This is a sturdy, cost-effective, easy-to-use choice. If you want a mattress that is all-around solid in almost any category, the Twilight Hypoallergenic Universal may be just the mattress for you. While this mattress doesn't break records for innovation, it provides everything that you need without frills. It will work so well that you will pretty much take it for granted, and so will your soundly sleeping baby. Twilight Hypoallergenic Universal is a solid choice for anyone who wants a mattress that performs its job, doesn't do anything too special, and is easy on the pocketbook. This represents a large subseet of crib shoppers. Because of this, the Twilight is a popular choice that sells well. Is no-nonsense for you? This is a great pick, then. Doesn't work with some cribs from the same DaVinci brand- some of these cribs are wider and require a different, wider mattress as a result. This can be misleading. Our information is based on over 10,000 customer reviews that were collected on the different products. All of our recommended mattresses have over 1000 online reviews and are rated at more than 4 stars out of 5. We think more is better when it comes to testing, don't you? Rather than rely on a single sample of a mattress to test ourselves, we learned from the huge number of mothers who have already tested and already love their mattress so much that they want to write and share their find with others. The best time to get a new mattress is in the first few months of a new year. Buy last year's model and wait for a sale. President's day and Martin Luther King Jr. Day will both have the last of the old models (which typically only differ by color) at bargain basement prices. Want to know a secret way to learn about quality? Also, if you go to a store that offers a money-back guarantee after a certain time, ask your salesperson which mattress brands are most often returned, and which ones never come back to the store. This gives you one more way to gauge satisfaction. If you're saving up for a more expensive mattress, you can employ a five-step savings plan to help cover even more of the cost. If you aren't using this trick for all of your shopping, start now! You may not be able to get all of the savings for every purchase, but you can often double- or triple-up on discounts. Do your research and figure out which stores sell the mattress. This is important. Check on Ebates to see if any of the stores that offer the mattress give a discount if you go there through the Ebates service. This turns into cash back in your bank account. Search gift card exchange sites to buy the item with a discounted gift card. You can often get them for 10-15% off of the value of the card. Look for promo codes or sale times to maximize the cost savings. Sign up for the app associated with the store. Some will price match local competitors and give you the difference back in cash. Mattresses are pretty simple to care for. When it is dry and clean, you need to do nothing more than change sheets. If your mattress gets wet with water, it can be toweled dry. However, bodily fluids and crib mattresses are often great friends. In these cases, you can clean a mattress the same way you would wipe down a counter. Choose a cleaner you are comfortable having near your baby's skin (if you use bleach, you will want to wipe it down with water afterward to avoid any chemical interaction seeping through your child's skin). Let the mattress fully dry before adding new linens. You may want to use a mattress pad cover to help keep the mattress cleaner. However, in the case of flu, blowout diapers, or other mysterious fluids leaking from your baby, you will still want to wipe your mattress down to be on the safe side. How do they actually work? Face it: Your crib will get messy and your baby will be the cause. If you're lucky, this will only happen to you 100 times or so throughout infancy. If you're more normal, that number may stretch into the thousands. When this happens, your sheets will be toast. A waterproof mattress is great for keeping the fluid out of the core and preventing moldy buildup. However, if there is a lot of fluid, it will typically run off and drip under your crib. This is where mattress pads come in. They are also designed to get dirty but think of mattress pads like maxi pads. They soak up and contain the mess to prevent the spread. 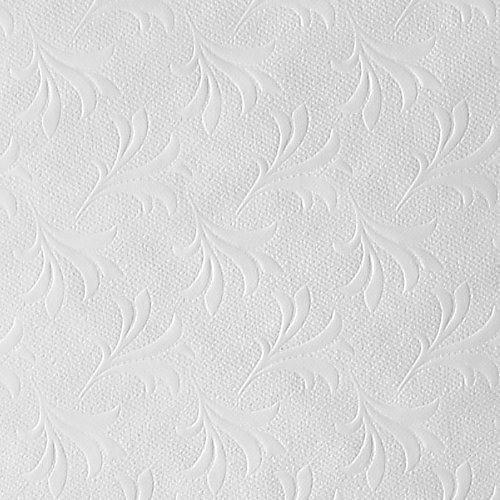 Mattress pads come in two forms (and you can double up on both kinds), the over-the-mattress protector and the mattress top blanket. 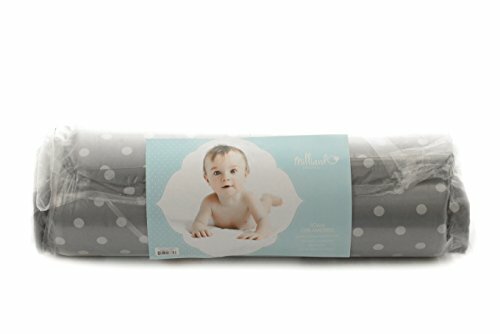 Both offer similar protection, but one looks like a fitted sheet and is placed in a way that it won't slip and leave you vulnerable if you have a baby who likes to perform acrobatics in his or her sleep. While the fitted mattress protectors must be regifted or tossed after you move up a mattress size, the ones that lay on top can get a whole new life if you have an older child with a bedwetting issue. They also work great to lay on top of sheets during bouts of stomach flu. You can lay them in layers, and if you have a sleepy kid who throws up, you can peel one layer off and clean off your kid without making a big production of changing the sheets. Crib mattresses will typically be pretty close to standard. 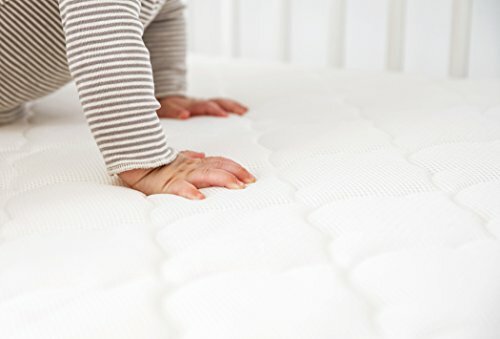 By law, full-size crib mattresses must be at least 27-1/4 inches by 51-5/8 inches and no more than 6 inches thick. This is to fit two important safety standards. The width and length are designed so that there is no more than a 2-inch gap between the mattress and the side of the crib. This is to keep little heads from becoming trapped in between and making it hard to breathe. The thickness rule has a similar safety background. Thick mattresses can sink, and babies who sleep face-down may become smothered in the divot that a thick mattress provides. While neither of these things are foregone conclusions, they are all designed to use the science that is known about SIDS and try to keep your baby as safe as possible while they sleep. Breathe easy knowing that these standards will help your baby do the same. So co-sleepers and mini-cribs both require a smaller mattress. These mattresses are also typically thinner because it's hard to get thickness and the right firmness on a smaller mattress. Be sure to buy your crib first and check the dimensions needed- if you don't have a standard size, you'll need to look for something that better fits your crib. It pays to be safe with someone so precious, doesn't it? They have no synthetic materials. They are not treated with chemicals (think fire-retardants, as this is the most common example). They comply with organic standards (the cotton, wool, or other natural fibers were grown/raised organically). Organic mattresses rose in popularity partially because of the fact that many chemicals that have been fast-tracked for use by the regulatory agencies were later found to be somewhat to very harmful to the people using them. This has spawned a movement to avoid using chemicals as much as possible in the manufacture of organic items. It is terrifying to know some of the chemicals that go into the manufacture of some of the cheaper mattresses, including formaldehyde (embalming fluid! ), lead, phthalates (fire-retardant chemicals) and over 10,000 other volatile chemicals that are known to be poisonous at high levels. While we don't know for sure if these things are harmful in the small levels that they can appear in some mattresses, things like the huge increase in asthma and allergies over the past decades are believed by some to be related to all of the chemical exposure we now get. Don't worry, everything on the list above has been Greenguard and CertiPUR certified-- they did the work for you to make sure your little one isn't breathing these chemicals in their sleep. Organic mattresses are going to be free of any plastics, which means no off-gassing of those chemicals. The cotton won't have any residual pesticides on it and it remains fireproof by using wool instead of fire-retardant chemicals. The waterproofing on these mattresses may not be as effective, you may need to shop around. They are also a bit more expensive. But, if you are someone who wants to keep your baby's exposure to chemicals to the absolute minimum, this is a great way to do so. Organic mattresses are a step back to traditional mattresses from generations before. What works then can work now, but technology makes it even better. Hypoallergenic means that something does not promote allergies. When it comes to sleep, two main kinds of allergies are common: dust mites and off-gassing from fossil-fuel based foams and plastics. If you know what your issue is, you can focus there. 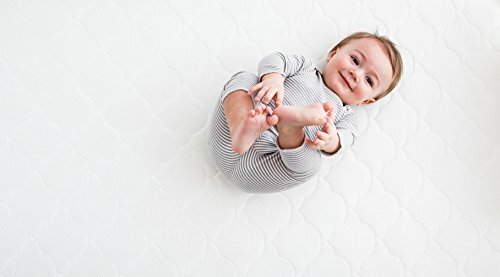 A hypoallergenic mattress is typically made with a latex core that is surrounded by layers of cotton (this won't be very thick for baby because of the safety laws and requirement of firm mattresses for infants). If dust mites are the issue, wash bedding frequently and consider a dust mite cover for the mattress. This is essentially a bag that you zip around the mattress that the mites can't get through. Want to hear something weird? Dust-mite pillow and mattress covers are made from the same material as typewriter ribbon. This was a lucky discovery since there aren't a lot of people who use a manual typewriter anymore. Looking into the mattresses, we narrowed down the field into three niche finalists and one more general best based on overall pros. If you want a specific feature, then you will probably find your winner along with the niche choices. If you must have the best of the best and you will stay up every night worried about your baby's breath, then the Newton is the hands-down winner. Choose it if your main concerns are organic, quality, and green design. Don't choose it if the price is your main concern or if you want a wipe-down waterproof mattress. For Budget Mattresses, the Safety 1st. 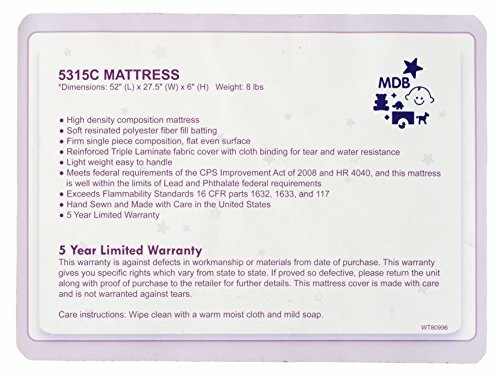 This mattress is easy to find, easy to wash, and reported to be long-lasting by mothers who have had a series of kids sleep on these mattresses. Choose it if you want your mattress to be simple, functional, and inexpensive. Don't choose it if you have more specific needs like an organic mattress or memory foam. If you want something that feels more like the kind of mattress that you sleep on, this is the only mattress that made our list. 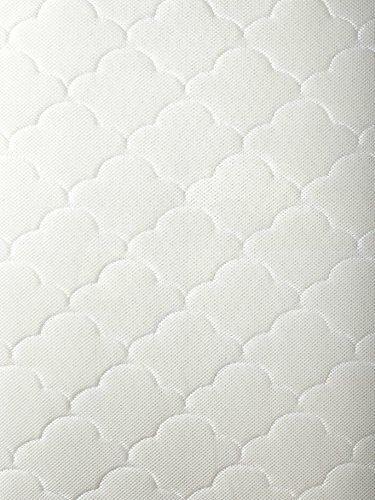 Use it if you want a reputable mattress brand that offers a coil design that has been time-tested. 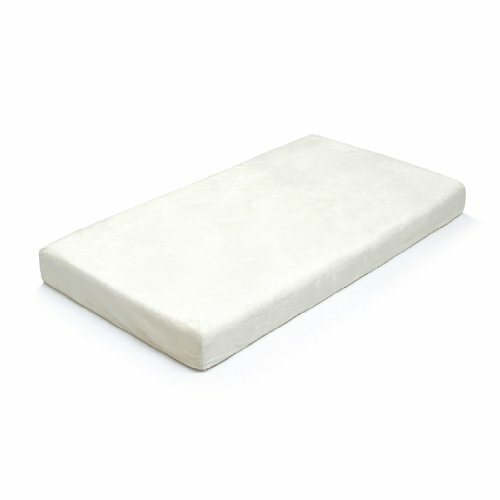 Don't use it if you want a light mattress with a foam core. If you get a mattress with a warranty, read the fine print to see what it covers? Does your warranty cover a two-year-old with scissors and a tantrum? Probably not. But it will cover any manufacturing defects. If your mattress says its waterproof and you find water is seeping inside, you can typically return it. Mattresses can also sink a certain amount of depth within a given time frame and qualify for a return. Don't understand legalese? Get help. Your best friend in understanding the mattress differences is the sales clerk in the mattress shop. They're the ones who have to honor the returns in a lot of cases, so they are aware who offers the "no questions asked" kind of return versus one that is only available in a few specific situations. Bonus! If you pay with a credit card, check your credit card benefits. Sometimes you get a purchase guarantee on items. In cases like this, even if the mattress store won't refund your money, your credit card company may do it instead. And how about the the overall winner? 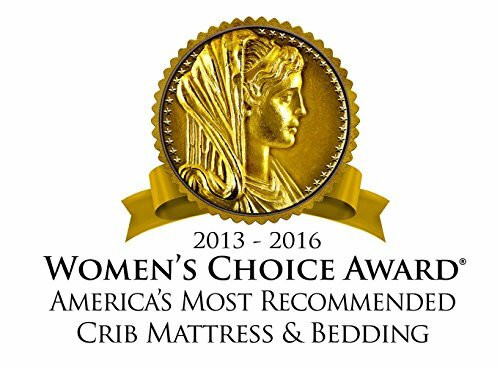 We, like the Women's Choice Awards, give this Accolade to the Sealy Soybean Foam Core Mattress. It offers the highest number of things that new mothers asked for. 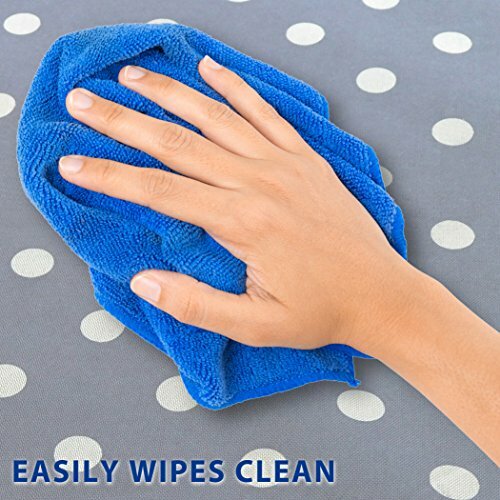 It can be wiped down to clean, and it is waterproof. The foam core is plant-based, meaning that there are few to no off-gassing issues with volatile organic compounds from fossil fuels. It can break down in a landfill. It has all of the major green certifications. It is reasonably priced, falling squarely in the middle of the different mattress costs. It comes from Sealy, a well-known mattress company that makes quality pieces and is known to guarantee their work and offer generous return policies. Basically, this mattress offers a safe, clean, green sleep option that is reasonably priced. Was this your favorite, too? The best part about lots of choices is that you can always choose from any of your favorites. Congrats on your upcoming new bundle of joy, and wishing you and your little one a safe, clean, healthy night's sleep. Top 5 Kamikoto Knife Set Reviews – Precision Balanced Blades "2019"
Cozzy.org is a participant in the Amazon Services LLC Associates Program, an affiliate advertising program designed to provide a means for website owners to earn advertising fees by advertising and linking to amazon(.com, .co.uk, .ca etc) and any other website that may be affiliated with Amazon Service LLC Associates Program. 2017-2019 Cozzy.Org. All rights reserved.